Sara Whiffen is an internationally renowned expert in entrepreneurial logic and new product development. She formerly served as a Managing Director with Toyota where she took several concepts from idea to market in the United States, Japan, Australia, Germany, and the UK. Most often recognized for her strategic and pragmatic approach to innovation, she has successfully founded and operated multiple ventures since leaving Toyota in 2008. Her broad business background includes both corporate leadership and startup experience. Her leadership roles have included Corporate Strategy, Organizational Development, Technology, Project Management, Risk Management, Finance, and Product/Brand Management. Two of her ventures have been selected for startup incubators. Whiffen currently serves as Founder and Managing Partner of Insights Ignited, a training and consulting group that infuses entrepreneurial thinking into organizations. Insights Ignited works with companies worldwide across many industries (e.g., consumer packaged goods, financial services, education, government, consulting, healthcare, technology, startups, and others). As a result, companies are better able to generate growth in resource-constrained situations, identify opportunities for innovative solutions, enter new markets, and address competitive threats. Insights Ignited’s trademarked methodology, the Assets to Action Model™ is now used by consultants worldwide. A few of the companies with which Whiffen has consulted include American Express, Deloitte & Touche, Aon Consulting, Saatchi & Saatchi, General Mills, US Bank, Visa, Nokia Ericsson, The U.S. Government, The National Association for Community College Entrepreneurship, and many others. In 2016 as a result of her extensive entrepreneurial consulting work and research alongside Dr. Saras Sarasvathy, a world-renowned entrepreneurship professor and pundit, Whiffen caught the eye of The Shark Group, a brand consultancy founded by Shark Tank’s Daymond John. She became Chief Learning Officer for their entrepreneurial training program, InnerVation Lab™, a program whose foundational principles are based on “effectuation,” an entrepreneurial thought process formulated by Sarasvathy and researched extensively by Whiffen. That same year, Whiffen launched Rohvi, a retail tech platform using online trends to drive customers to brick and mortar stores. She remains in place as the company’s Founder and CEO. 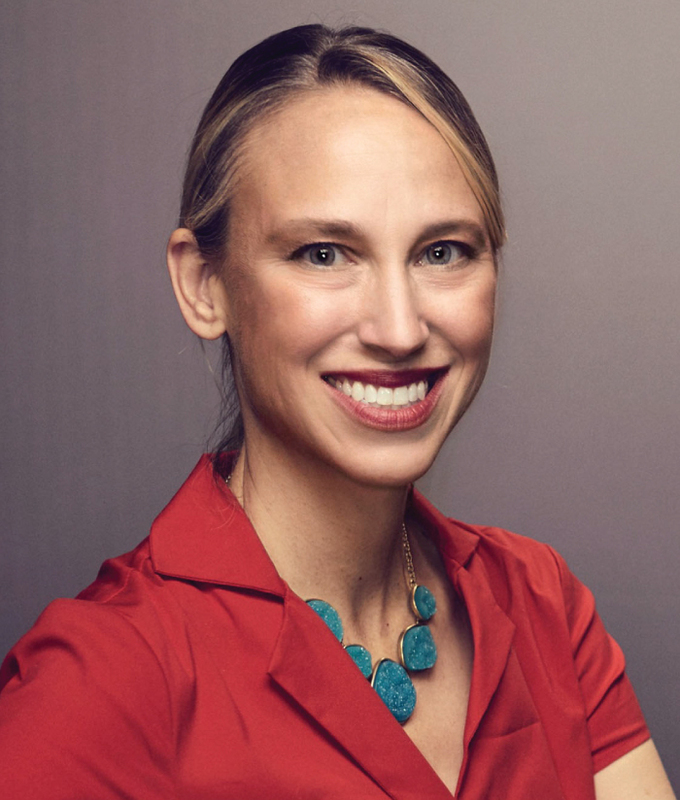 Whiffen has also served as guest faculty at the University of Virginia’s Darden School of Business since 2012 where she focuses on Entrepreneurial Mindset Development. She has served on Strategic Planning, Governance, and Finance committees as well as in the role of Treasurer of several non-profit Boards. She received her BA from the University of Notre Dame and her MA with a focus in International Economics / Finance and Japanese from Johns Hopkins University.